Create a gorgeous, framed “masterpiece” when you take an art class with Shannon Harris. Oysters, abstracts, crosses, flowers, the iconic Western Lake on 30A – these are just a few of the beautiful images she teaches in her Paint Therapy classes. 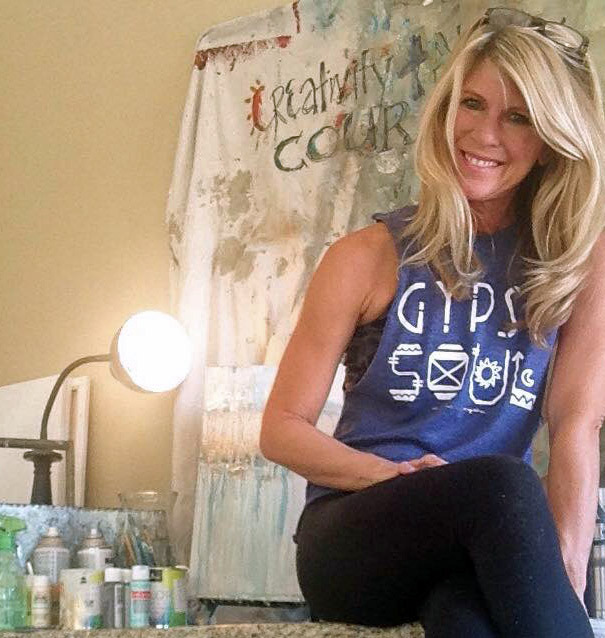 Even if you think you can’t draw a stick figure, Shannon will teach you how to paint with acrylics and create artwork worthy of hanging in your home. Paint Therapy classes are 2 hours and cost varies slightly by canvas size. Currently, classes are available by appointment only. Please call the gallery at 850-231-5112. Learn more about Shannon Harris by visiting her Artist Page.